After waking up at 3:30 I arrived at Pittsfield State Forest around 6 am Saturday morning with great energy. The weather was perfect, I was surrounded by vegan runners, and most motivating – I woke up seeing $1,325 out of $1,500 raised on my GoFundMe page. No matter what the day would bring, I was running this for Scott Spitz. After recovering from an extremely debilitating surgery to remove the cancer that has invaded his stomach he has been working hard and showing extreme resilience & persistence through 17 infusions and endless side effects from the drugs being pumped into his body. 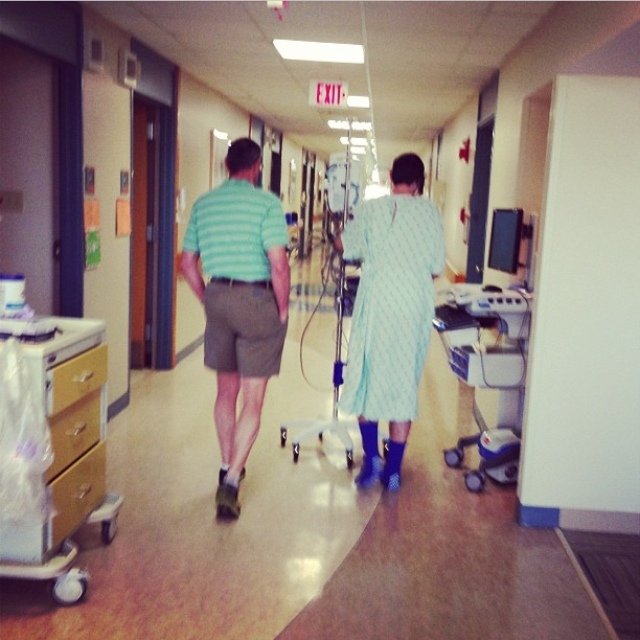 Running is still his main passion and he has continued to run as much as he can throughout this experience. He is now preparing for his 2nd major surgery in hopes that it will restore his body back to where he was physically before this nasty diagnosis was thrown at him. Both Scott and I are so very grateful for the outpouring of generosity our friends have shown. 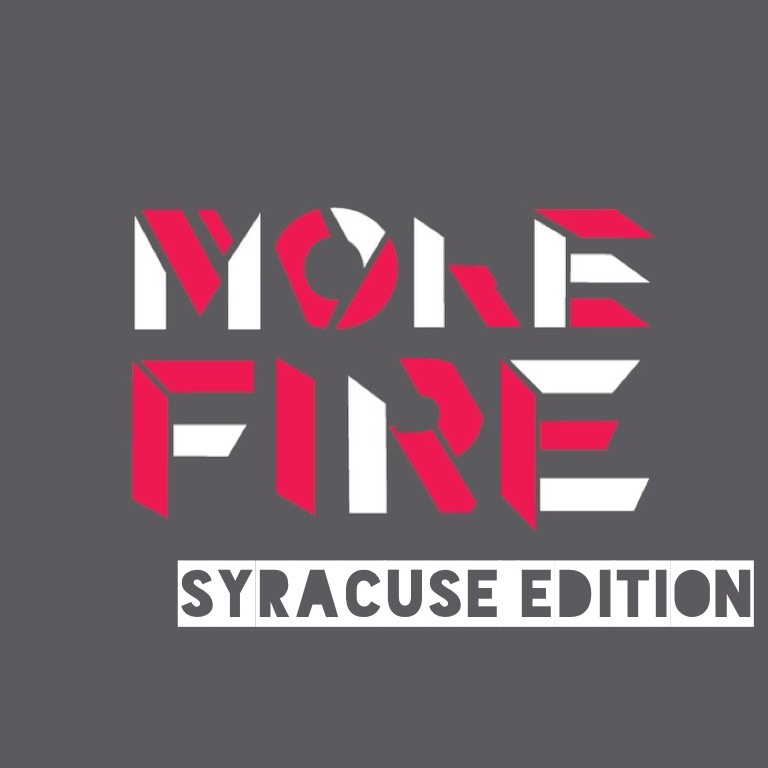 For any of you runners out there, don’t forget the More Fire Benefit Runs taking place in Indy, Syracuse, and Boston in August. We’re in the process of gathering some great giveaways as we come together to run in solidarity with our brother Scott before his surgery. I will be attending the Syracuse edition and I hope to see you there! Onto the race…we lined up at the start as race directors Ana Wolf and Michael Menard welcomed us and shared words of encouragement before we were sent off for six 5-and-some-change mile loops through the park. Loop 1 – After a countdown to the start we were sent off into the woods. Niko Viglione, Shaun Evans and I went off the front into the beginning climbs of the course. We were going along at a smooth, controlled pace and it felt great. Three vegans from NY, chatting away, making the miles tick by quickly and effortlessly. We finished loop 1 in 42:20. Loop 2 – Another loop with the frontrunners. I was telling myself that this was just like a training run with friends. 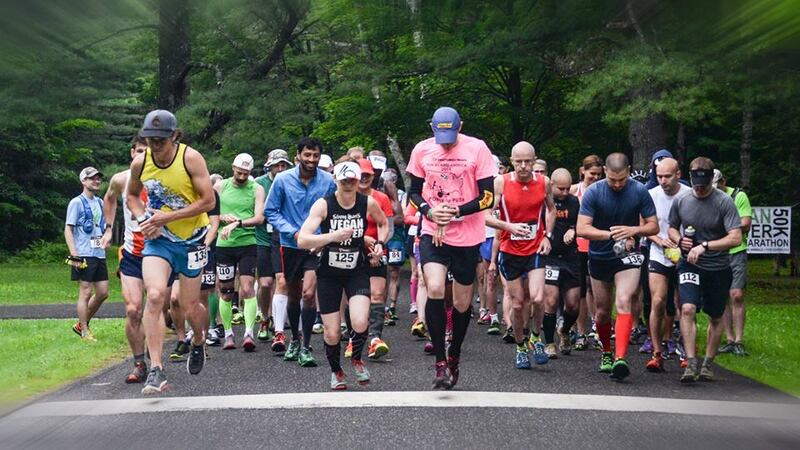 On loop 2 we learned about Shaun’s awesome adventure he’s planning with his 8-year old son Shamus – they will run 3,186 miles across the country next year – Shaun pushing Shamus in his “running chariot”. Be sure to check out this amazing family as they raise money for Ainsley’s Angels – to promote involvement and active lifestyles for children with disabilities. Inspirational stuff! I came through loop 2 in 42:09. Off to a great start! Loop 3 – At one point Shaun asked if I was hanging with them, to which I responded that I didn’t think I would be able to. The first 2 loops felt great but they were running strong, and with 4 more loops to go I was already feeling fatigue that I wasn’t expecting this early on. The guys went off ahead while I settled into a lonely pace. Loop 3 – 44:48. Loop 4 – I was happy to hit the halfway point at 2:08:57 and was hoping I could keep up the pace for the 2nd half. Still running alone, I did my best to keep my stride but I definitely felt it slipping. I was also feeling overheated which I wasn’t expecting. The temps weren’t very high and we saw little sun during each loop, but I felt like the humidity was really getting to me. 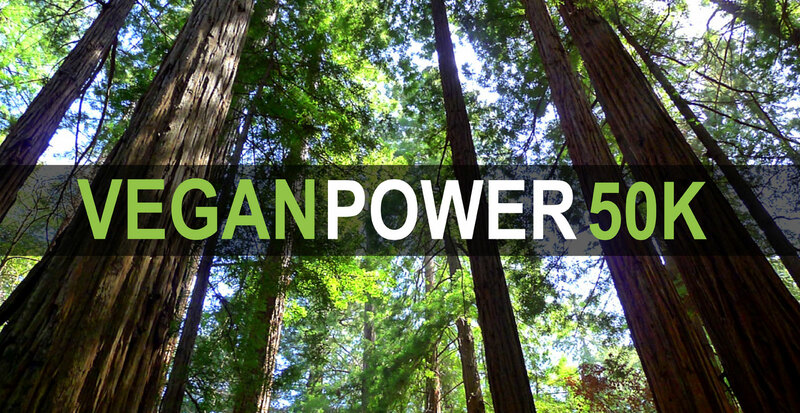 Seeing all these shirtless runners was making me want to strip off my own, but I was running in my Strong Hearts Vegan Power top and I was pulling the strength from my team. As expected, the mud pits on the loop were getting progressively sloppier as the runners passed through them time and time again. Mud is definitely fun, but you could feel every twinge of instability as you’re passing through them. Finishing lap 4 in 49:41, I knew I was in trouble. Loop 5 – by far my worst loop. I was breaking down both physically and mentally. I felt like all injuries from my past were flaring up, and every body part was yelling at me. The negative thoughts were creeping in big time – mainly that I didn’t prepare for this race as I should have. Although this race was more about gauging my fitness, I was fully expecting to better my time from October’s Blues Cruise 50k. At this point I knew this wasn’t happening – not even close. Just push forward. The benefit of a 6 loop course is the amount of support you receive. There was the main aid station at the start of every loop, and another one halfway through the loop that you passed twice, giving you 3 opportunities for nutrition and hydration on each loop. I had gone back and forth about whether or not I should carry fluids. 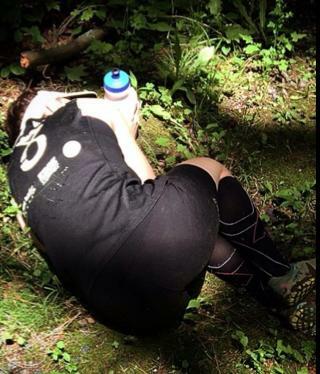 I am a heavy drinker when I run – that is for sure! In my mind the weather and the amount of course aid gave me the freedom to run without carrying anything which was enticing. Just in case, I had a hand-held bottle waiting at the aid station to fill if I felt like I needed it late in the race. Truth is, I needed it. But I was so focused on trying to power through this the thought of having to obtain and carry one seemed so cumbersome. I had been eating Clif Bloks and fruit during the race and decided on a gel to fuel the final loop. I had been experiencing some hand numbness for 2 loops now which is part of why I didn’t want to deal with a handheld bottle. I put the gel in my mouth to rip off the top only to find that I couldn’t grasp the gel hard enough to pull. Uh oh. This was not helpful. I kept at it and finally got it open and down. I finished loop 5 in 52:33 – over 10 minutes slower than loop 1! I continued on my way and suddenly felt very nauseous. Great – the Endurolytes would be wasted. The wave passed and I was fine – just looking forward to getting back to that aid station for more liquids – I was parched! Just as the table was coming into sight, my right hamstring seized. What? I haven’t had cramping problems in years! It stopped me in my tracks and I think a few expletives flew. Obviously this wasn’t going to stop me, but it would surely slow me down when all I wanted to do was cross that finish line and call it a day. I started to walk but it wasn’t going well as I drug my right leg behind me. Within a few steps it was starting to work itself out and before long it loosened so that I could run again. Phew! For the rest of the final loop I was feeling great. Mentally that is – not physically 😉 Although those last miles seemed to be growing by the minute I knew that once I made that final road crossing back to the start line I would be finished! Although this final loop felt better than the previous, a time of 58:05 was showing how badly I had crashed. I finished the race in 4:48:36 which placed me as 1st overall female and 5th overall for the day. Ana and Michael nailed it – the course was great and perfectly marked. The aid stations were well-stocked with smiling, helpful volunteers. 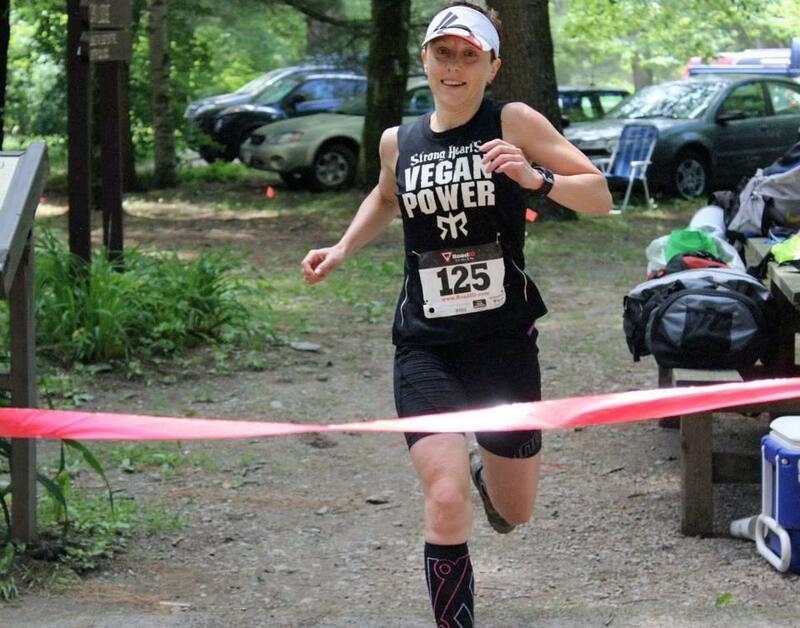 Best of all – between the race entries and one competitor who was fundraising on her own, over $2,500 was raised for Farm Sanctuary! Win! I know one thing for sure – next year this race will at least double in attendance. With talks of adding a 25k option they will be sure to draw even more competitors to the area. Be sure to check it out – I know I plan on returning. This one was for you Scott. May you tackle this surgery with the strength and mental attitude that has brought you this far in your journey. I’ll see you at the start line next year. Strong Hearts to the Front! 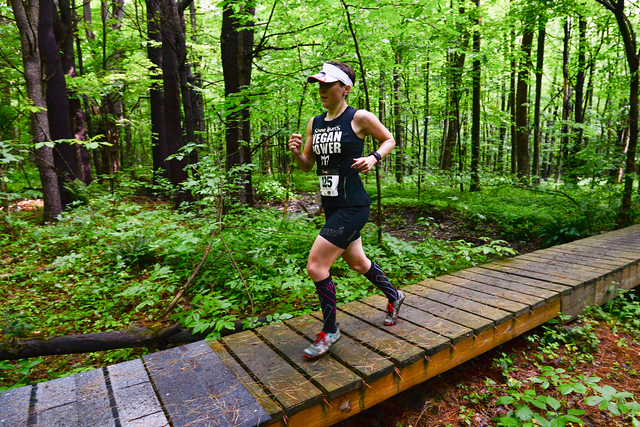 This entry was posted in trail race and tagged 110%, BURCS, inov-8, Pittsfield State Forest, race report, racing, trail racing, trail running, trailroc 150, ultrarunning, Vegan Power, Vegan Ultra 50k, veganultra by lljkline. Bookmark the permalink. Hey Laura, so nice to meet you last night at the Trapps! I came back to catch up on your recent adventures and realized I’d forgotten all about this race. Oh my gosh, way to go… this sounded both brutal and incredibly rewarding. I would love to do the next one. It was great meeting you last night! Definitely put this race on your list for next year! 🙂 See you soon!